Easter is a Christian festival celebrated every year to remember Jesus Christ resurrection. Easter celebration is a wonderful opportunity to reflect and help kids understand the meaning of the occasion as most of them are no longer aware why it is celebrated at all. Fortunately, there are fun Easter activities for children, activities that can make the day fun, meaningful and will teach them about Jesus. These days, it can be a challenge to make kids understand the importance of Easter as the advent of technology has kept them busy with other stuff. This coming Easter you can teach your kids about Jesus in ways they can easily understand. It is crucial that you at least explain to children the reason behind the celebration of Easter. After all, Easter is more than just about egg hunting, bunnies, and cute stuff but about Jesus resurrection. Easter is an important holiday to Christians who believe that Jesus rose from the dead three days after he died. Some Christians celebrate Easter festival to thank Jesus and to end the Holy week, which starts on Maundy Thursday to black Saturday. Easter festival symbolizes hope, a new beginning it is why both kids and adults celebrate all over the world. Easter is celebrated on different dates, so this is a moveable holiday. The date of the celebration depends on holy week. This coming Easter, you can keep the children occupied and entertained through different Easter activities for children. These Easter activities can be a big hit to children’s party as they bring fun to kids of all ages. Easter activities can be done inside or outside your home, but if you have more green space it is best to have the hunt on your backyard. Several Easter themed games can make your bash or simple celebration exciting for the kids, but egg scavenger hunt is the best out of all the activities I have rounded up. Egg hunting is a traditional Easter game. This game has been played since time immemorial, but you can make it more exciting by making the game a bit harder for the kids. You can hide the eggs around the park instead of the garden, in your yard, patio, tree or flower pot. But of course, do not just hide the eggs on obvious places and when you do hide the eggs take pictures. The pictures you took can serve as a clue to the players, and they can take the photos you took to make hunting exciting and more fun. Throwing an Easter party is an old tradition for most families. However, it can be boring at times if you keep doing the same thing yearly. That’s why, you need to do more for this year Easter party. Keep in mind that kids love to play games and to have fun, and you can make this year party even more fun by planning a party around your Easter egg hunt. Now, in case you are just looking for games or activities that will keep your energetic kids occupied and happy while you are partying with friends and family members, know that bunny hopping is the perfect activity for them. Most kids under 5 years old can hop and play relay race already, so playing the bunny-hopping game is a good idea. Take the children outside, and get them bunny hopping together with their friends and cousins. You can make the game fun by creating a team, wherein each team will race to the finish line. The members must tag their teammates to advance to the end. Adults’ not just kids can also play bunny hopping. So, gather everyone outside to start a fun and exciting race on Easter. Other games perfect for an Easter party are “Pin the Chicken,” “Word Games” and “Duck the Goose Game.” For Pin the Chicken game, you will need a poster board with a large egg drawn on it. Cut it out and simply pin on your wall. Give each of the child a construction paper so they can draw a baby chick. Cut the chick and let each child stick the chick to the poster board while blindfolded. The chick closest to the egg wins the game. Word Game is another fun easter party game. The players just need to find words on the board, very simple game to play. Duck the Goose is a cool party game for children as well, and almost everyone knows this game, it is also easy to play with friends or relatives. To play this game, the children must sit around a giant circle, and one child will tap the head of other children. Players are tapped gently on the head until a child is chosen to play as the “goose.” The chosen goose must chase the first child, that one that stood up first. The child must reach the empty spot to be saved, also so another player can be the new duck that the goose will chase. This coming Easter, children can also do outdoor crafts. You can take them outside for an Easter themed project like creating a mosaic on a cutout cardboard. Ask them to gather leaves and petals that they will glue to the cardboard, using clear drying glue. The cardboard must be covered completely. Aside from a mosaic, you can also teach kids to make planter. The handmade planter can be a fun activity for your child. Planter with flowers, dirt and seed will not just keep them occupied while you entertain some of the guests but can also help bring out their creative side. You can also teach the kids to make decorative keepsake that they can take home like a cross or basket. There are lots of Easter crafts that can be done at your party or get together with family and close friends. You just have to choose the best crafts that children of all ages will enjoy doing this Easter. Painting eggs for egg hunting is another fun activity that you can do this Easter. This is a messy activity so you should set up table outside your home. Egg painting is an art activity that creative kids will enjoy. Plus, it is easy to paint eggs, even a 3 year old child can paint an egg without problem. Anyway, all you need for this activity are plastic cups filled with water and food coloring. The dye will be use to paint the boiled eggs. By the way, you can give prizes to kids with the most beautiful egg design. Aside from egg painting, the children can also create Easter necklaces to play with. For the necklace, you only need construction paper cut into strips. To create the necklace you must fold the paper in a circle then glue both ends and pressed together. Create another circle but before closing both ends, place the first circle inside the other circle to form a chain. The chain must be long enough to fit the head. Once the chain can fit over the head, the children can paint the necklaces any color they like to make them more beautiful. Baking with your children is another fun activity this Easter. There are lots of Easter dessert recipes that you can prepare with your child. You will not just teach them how to bake or make cool desserts, but you can also explain the significance of Easter while you guys are baking cakes or whatever you wanted to prepare for the holiday. You and your children can bake cupcakes, and you can decorate it with bunny or eggs. Cakes, cookies, and tarts are also excellent sweet treats that you can do this coming Easter. Parents who wish to make this Easter more meaningful for their children can create an activity that will teach the little ones everything they need to know about Jesus resurrection. For example, you can create coloring pages with of course a religious theme. This activity is also fantastic for church activity especially when after they done coloring, you will tell an Easter story. The kids can also take home the coloring pages to inspire and remind them about the meaning of Easter. 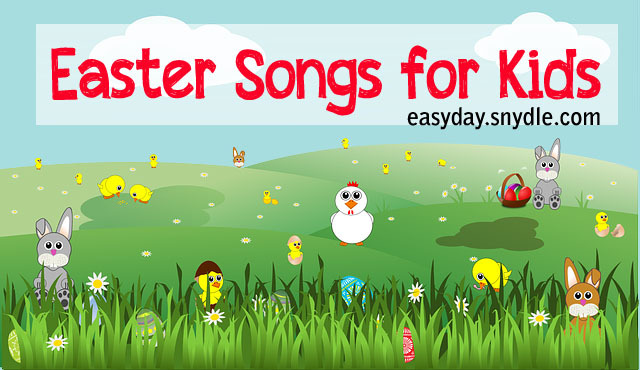 You can do many fun Easter activities with your children. You can take the kids to parks, puppet show, or to a picnic. Any activities for Easter can be fun as long as you guys were together to celebrate the day of Jesus resurrection. Most families go out on Easter for church and dining out, even to attend Easter party thrown by friends or family member. Easter ought to be celebrated with gusto as you are remembering an important event. Wherever you decide to celebrate the resurrection of Jesus Christ, it is always best to celebrate it with the whole family, or the people dear to you.